• and allow people to finance the remaining balance of the solar system with a government interest-free loan. When Solar Flow heard the announcement about the solar rebate we were concerned this scheme might end up like the infamous Pink Batts scheme run by the federal Labour Party. Thankfully, after reading the fine print in the press releases, we can assure customers that the Victorian Labour policy seeks to address some of the quality and fraudulent issues the Pink Batts scheme faced. The new policy ensures that only Clean Energy Council installers and approved solar products are used reducing the risk of poor quality installations. 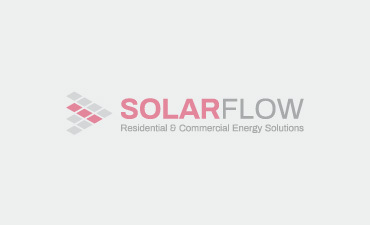 Solar Flow’s installers are CEC certified and install to the industry safety standards. The new solar rebate will also require the homeowner to claim the rebate directly from the Government which will definitely go a long way to eliminating some of the fraudulent claims we saw by installers as part of the Pink Batts program as this rebate was paid directly to them. There also seems to be a stronger emphasis on the required documentation, and proof of purchase and installation required to be able to claim the rebate. Solar Flow endorses the new Victorian Government rebate and welcomes the long-term stability this will give to the solar industry. We recommend customers use this opportunity to invest in good quality solar equipment like Trina, Jinko or LG solar panels, as well as Fronius or Solar Edge inverters. As always, do your research around the product you are purchasing and the company you are engaging to install your solar system. If you would like more information about the Victorian Government Solar Rebate feel free to contact us or click here.